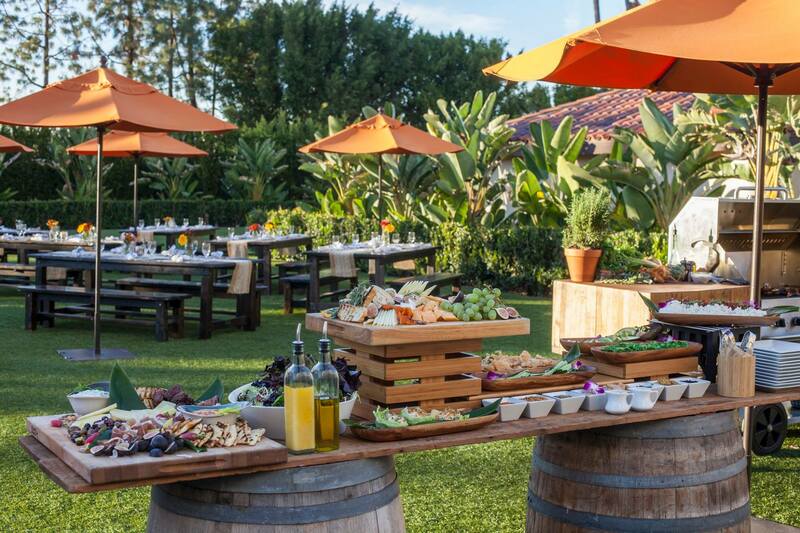 A great way to enjoy your backyard during the holiday season is to host your family Thanksgiving outside! 1. Create a plan for keeping your Thanksgiving food warm. 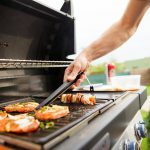 If you are only feeding yourself and your partner or a small party of around four or five people, keeping the food warm during the first serving may not be an issue. However, if the food is on your outdoor dining table, you can be sure that it will be cold by the time anyone goes for seconds. Plus, if you are hosting a larger gathering it is very likely that the folks at the end of the buffet line or at the far end of the table are going to be scooping up lukewarm mashed potatoes. 2. Plan for the possibility of Thanksgiving bad weather. If you are hosting a holiday dinner outside in autumn, you can be fairly certain it is going to get cold, it might be a little windy and it could even rain. Hopefully, you already have come up with a backup plan after reading tip #1, so you are all set if the weather gets bad enough to force the party indoors. However, the more prepared you are for cold or inclement weather, the less likely you will need to rely on your backup plan. If you have a covered patio, then you are definitely ahead of the game and you can more easily make your outdoor living area a comfortable spot for fall entertaining. 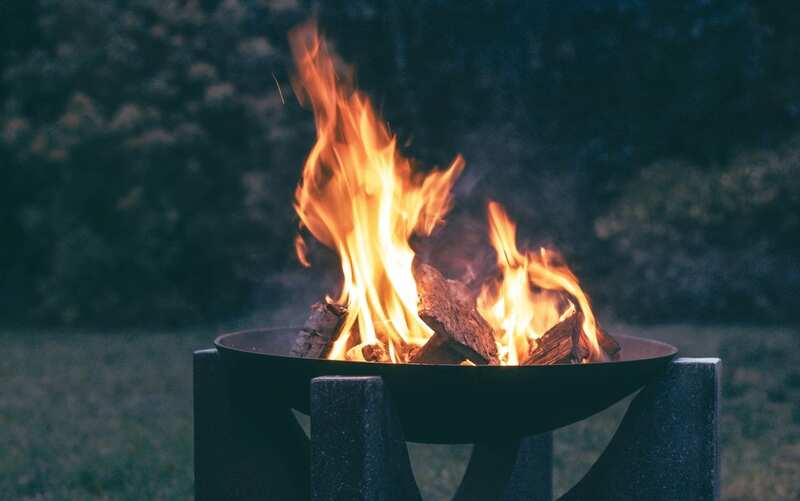 Even if you have a fire pit or outdoor fireplace — both of which are great for fall entertaining — you will likely still need one or more patio heaters to accommodate your attendees if your guest list extends beyond your immediate family. 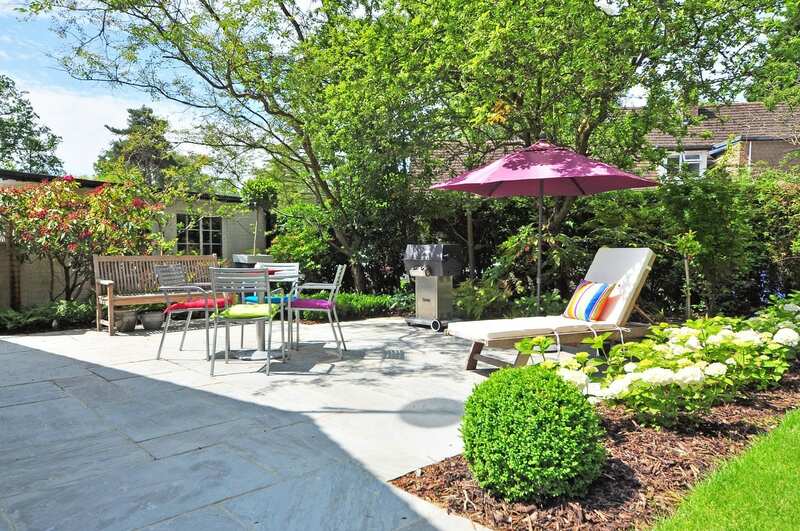 Have any questions about how to turn your backyard into a paradise? Then don’t hesitate to contact us! 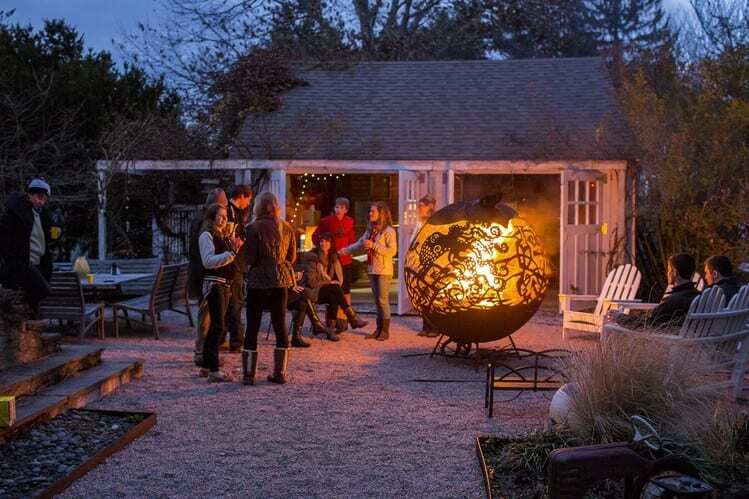 Winter is around the corner and, no matter how much you are dreading the cold weather, there are always ways to continue to enjoy your backyard in winter. In winter, the days are short and daylight is very hard to come by. A practical way to address this issue is by going with a neutral holiday light set and using it all winter long. You could also consider having more permanent lighting installed in your backyard as well. 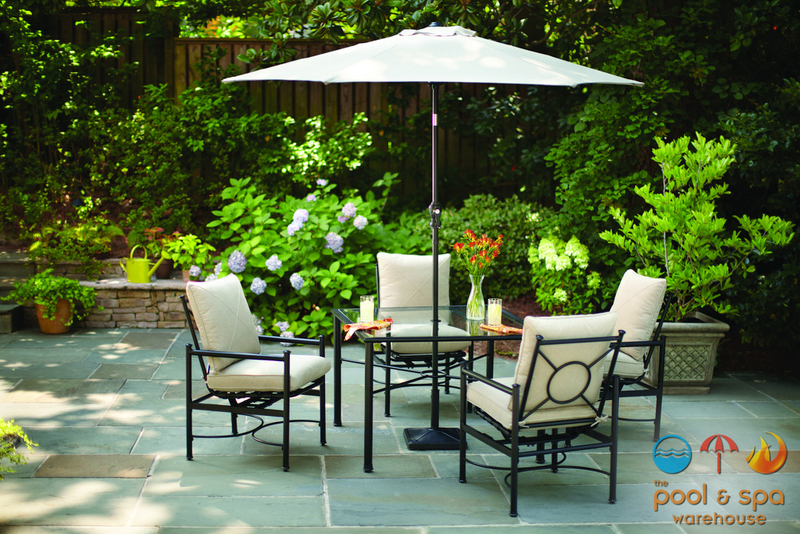 With temperatures plummeting, you need heat to make your backyard more hospitable. There are a variety of options on the market that can address this concern. 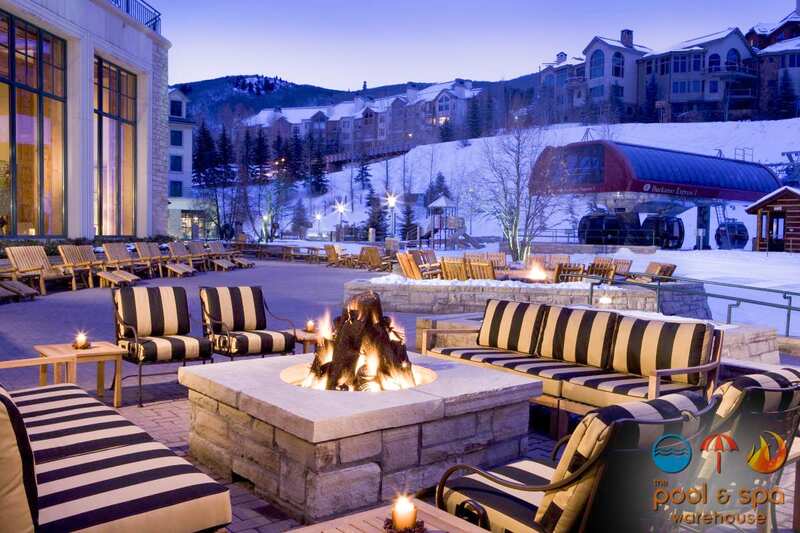 They include purchasing patio heaters, having a fireplace installed or even getting a hot tub, which is more affordable now than ever before. These pieces are well complemented by other winter-friendly additions such as wooden furniture and gazebos. You might as well make the most of the winter by enjoying the one gift it provides that many people don’t actually mind, the snow. 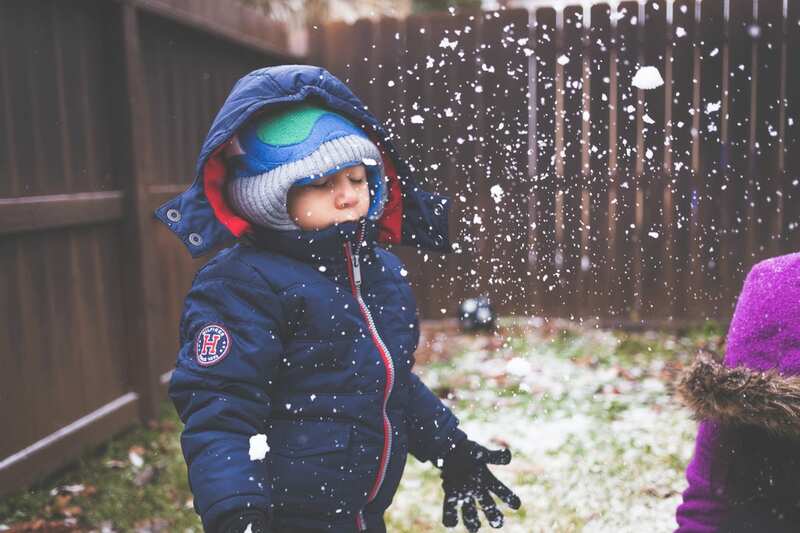 The opportunities for fun are limitless, whether you want to make snow angels, a snowman, or even have a snowball throwing contest (where you aim at targets, not at each other!). Spring is the season of blooming for most plants, but there is still some plant life out there that can survive and thrive in winter. Head over to your local nursery to learn more about cold-resistant and winter-blooming plants, shrubs and perennials that can add some much-needed vibrancy to your backyard this winter. Look out for Red Osier, a red winter shrub, and Purple Coneflower, a perennial, two options that will compliment any winter garden. One of the biggest new trends today is the art of Do-it-Yourself (DIY). These projects are online tutorials for creating everything from your very own backyard water-blob to an entire in-ground pool. Step-by-step instructions seem easy to follow; however, complicated processes have oversimplified or even skipped entirely. At The Pool and Spa Warehouse, we want you to be fully informed and not find yourself in the middle of a costly DIY mistake! The most dangerous aspect of a water-blob is the risk of it popping and washing away some landscaping or the plastic getting caught in your mower. Neither of these seems like especially horrendous outcomes. That being said, let’s go over a few things to keep in mind if you decide to DIY an entire pool. First, please watch where you dig. Be sure to double check the placement of any gas pipes or in-ground power line, hitting either of these, especially so early in construction, could be a catastrophe! 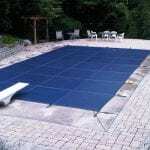 We do not recommend digging your own inground pool, it’s better to let the experts handle it. If you live in a more rural area familiarize yourself with your water-waste system. A leak in your brand new pool is not only aggravating but could lead to an infiltration of your septic tank. Lastly, double check with your city/township what sort of pools are allowed in your area, and what building codes apply for any additional structures you may wish to accompany the pool. 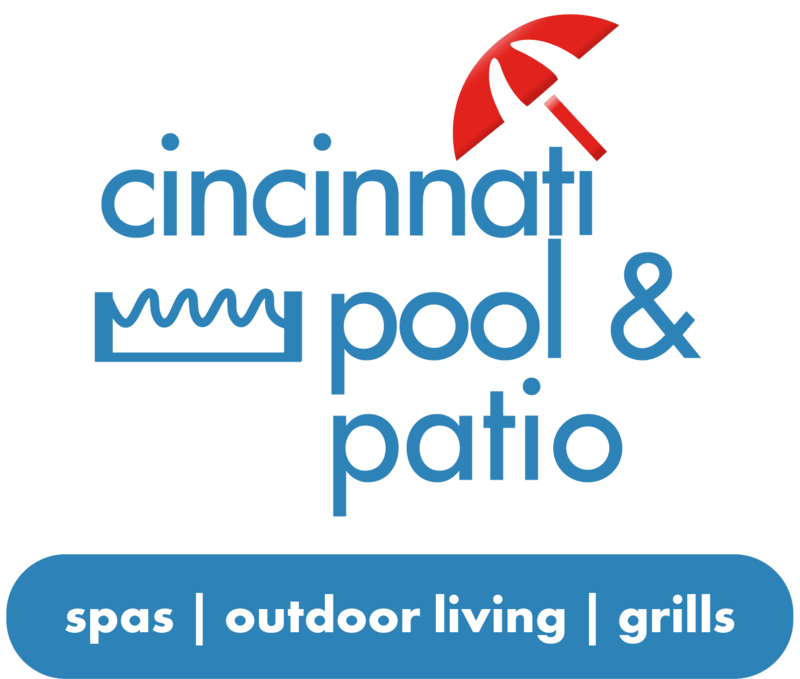 If you are looking to add a pool or water feature to your backyard entertainment this summer visit Cincinnati Pool & Patio where we believe buying a swimming pool should enhance your lifestyle without breaking your budget. 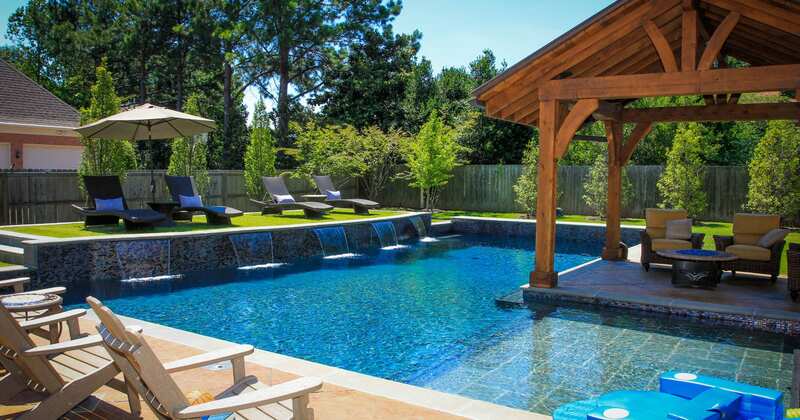 To best fit your home, we offer a vast variety of affordable in-ground or above ground designs along with accessories, chemicals, pump, and filters to make your pool sparkle.